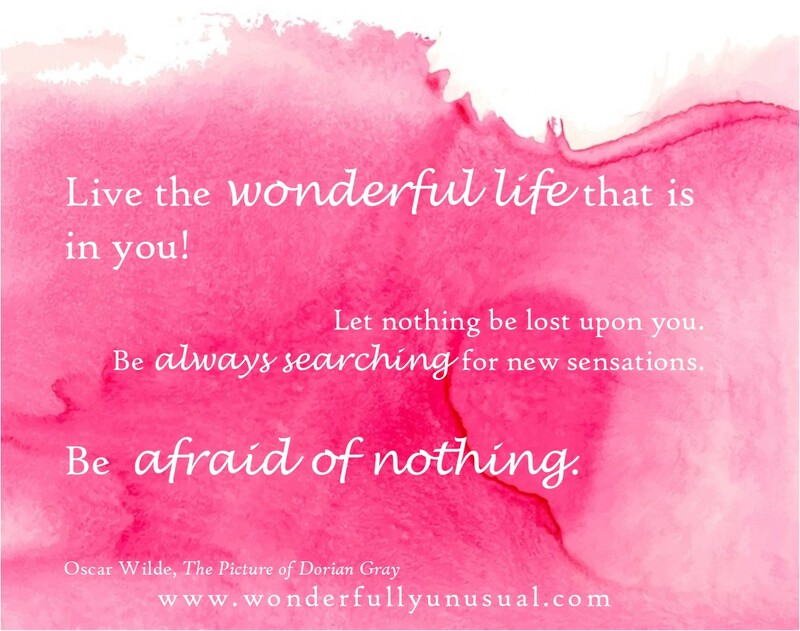 Welcome to my new site – Wonderfully Unusual. I had a post in mind to welcome you to this new space. It had to do with the quote above and the name of my site. It was complete in my mind. But I’m having a difficult time recalling it. Let me tell you why. The kids and I have been hit pretty hard with colds this week. This is our first round since last winter, so I’m not really complaining. In the midst of designing my new blog I have some deadlines to meet. I must get my income tax done to prove I still qualify for the adoption subsidy I currently receive. Sometime this coming week a social worker is doing a home safety inspection. I have yet to be informed when. All the safety’s in order, but the house is a bit of a mess especially since I haven’t been feeling well. This morning I pulled myself out of bed at 6:45am. Promptly I called 4yr old Athena’s school to leave a message saying she wouldn’t be in today because she’s unwell. When the kids finished breakfast I started them on some school work. I sipped my coffee and thought the radio must have made a mistake when the announcer mentioned it being Sunday. Or, more likely, I misheard. I debated texting the neigbour to tell her Athena wasn’t going to school. Instead I waited for her daughter to arrive. Normally she walks Athena to and from school. “I guess Natalie has forgotten about you,” I commented. “Maybe she’s sick too,” Raine offered. We explored all the possible reasons Natalie hadn’t arrived which wasn’t a big deal since Athena wasn’t going to school. Then I realized, It’s Monday and I haven’t posted my Sunday blog! With all the work on the new site, I was quite disappointed at my oversight. After an hour of school work, the kids went to play in the backyard. I fervently hoped the home inspection wouldn’t be today. Needing a quick distraction from all the housework looming around me, I picked up my phone to scroll through facebook. That’s when I discovered it’s Sunday. I nearly fell over laughing at my mixed up mind. Can’t recall ever having made such a huge oversight. Let’s blame it on the cold that’s starting to lift. Really glad I didn’t text the neighbour. I’m so happy I had today to tidy the basement and nearly complete my income tax. Best of all I got to post on my new blog. But I don’t have any fancy words to welcome you. I’m still a little jumbled after my false start. Maybe next time. Oh, no worries. I forget things all the time, my kids think I’m crazy because I talk into my phone. If I don’t put it down right away I lose it.